There's no such thing as a bad dog. Really. Many behaviors that humans consider "bad" are simply dogs being dogs, doing what dogs do. They sometimes just need a little help understanding what's expected of them. That's where training comes in, and where I can help. With knowledge, some work, patience and love any dog can be trained to be the companion you want by your side. 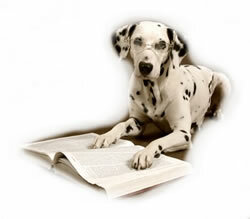 Once you experience professional dog training, you will wonder why you waited until now.